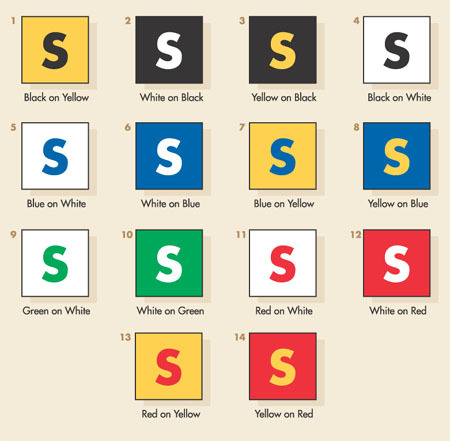 Colour contrast is a very important issue when choosing the colours for your sign. Different colours work better to give a strong contrast and make your sign more visible and striking. In the chart below, contrast is the highest at the start at number one, and then decreases down to number fourteen.